You’ve probably been told that if you’re buying or selling a house, you should work with a professional real estate agent. But do you know what real estate agents actually do for you? We understand that it can seem kind of mysterious. Here’s a behind-the-scenes look at the types of activities your agent is doing on any given day to help you close the deal. The real estate market changes quickly, and a good agent will spend time every day inspecting it. They will review listings to find new properties, see which ones have been taken off the market, or what homes may have had a price reduction. Being a good agent means being responsive to clients’ needs. Real estate agents are always answering emails, returning phone calls, and coordinating meetings and showings. They’re reaching out to potential new clients and meeting the needs of those they are currently working with. It takes more than a listing in the MLS to sell a home. Agents will spend time marketing the homes they represent. This includes posting ads in newspapers and magazines, posting on websites, printing postcards and flyers, making videos, hiring photographers, and writing posts for social media. Agents will meet with both buyers and sellers. They will also attend meetings with inspectors, appraisers, photographers, contractors, and anyone else that may have a hand in the transaction. There is a large amount of paperwork that goes into buying or selling a house. Contracts, disclosures, and other reports can be extensive and confusing, and an agent will help explain and clarify what each document includes. A large part of buying or selling a home is working through negotiations with each party. An agent can often spend weeks in negotiations, and will need to stay on top of what each party is agreeing to, to make sure all aspects of the deal are happening as they should. 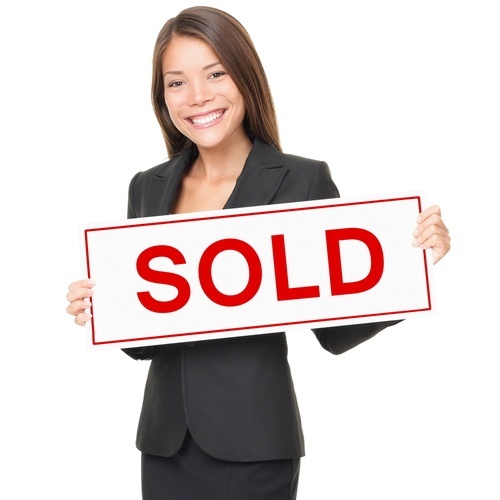 Professional real estate agents are required to keep current on market regulations. Most states require that agents attend classes and take tests to renew their licenses. Ongoing education is a large part of the life of a successful real estate agent. Real estate agents are also continually putting out fires – not literal ones, of course. Buying and selling real estate is a complex process, with many pitfalls and obstacles along the way. A good agent will know what to anticipate and can help smooth out the rough spots of the process. Often, a client will not even know there has been an issue, because their agent has taken care of it before it became a problem. Buying or selling a home can be one of the most stressful things you do in your lifetime. It’s easy to feel emotional. A good agent will understand where your emotion is coming from, but will maintain a healthy detachment. They will help solve problems and make the process easier, from that first email to closing day.